Instacart is instituting a new earnings model for its personal shoppers following criticism that the online grocery delivery company was shortchanging their compensation. In a blog post this week, Instacart founder and CEO Apoorva Mehta unveiled changes aimed at ensuring that orders carry a guaranteed payment level — including for collecting groceries and/or delivering them — and that personal shoppers receive their full tips from customers. The move responds to widespread shopper complaints, including in social media and published reports, that a new earnings structure introduced by Instacart last fall ended up siphoning their tips by counting them toward minimum payments for orders. “By delivering to and for our customers, you’ve become household heroes for millions of families across North America. This past week, however, it’s become clear that we’ve fallen short in delivering on our promise to you,” Mehta (left) wrote in a blog Wednesday to Instacart’s shopper community, which numbers about 50,000. “As you know, we’ve made changes to our shopper earnings model over the last year. These changes were designed to increase transparency while also keeping pace with a rapidly evolving industry. In doing so, we’ve tried in good faith to balance those needs, but clearly we haven’t always gotten it right. “Based on your feedback, today we’re launching new measures to more fairly and competitively compensate all our shoppers,” he said. 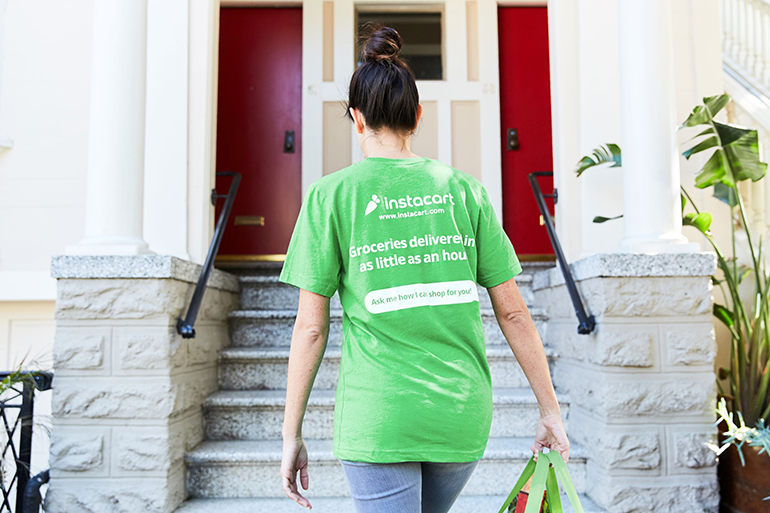 Going forward, Instacart will keep customer tips separate from the payments it makes to personal shoppers in fulfilling orders — with tips earned by shoppers coming “in addition to Instacart’s contribution,” Mehta noted. San Francisco-based Instacart also will raise its minimum batch payment from $3 to $5 for delivery-only batches (in which a shopper delivers the order after another person picks the groceries) and to $7 to $10 (depending on the region) for full-service batches (in which a shopper picks, packs and delivers the order). The company will pay quality bonuses and peak boosts for qualifying orders as well. In addition, Instacart plans to retroactively compensate shoppers for transactions when tips were included in the minimum payment — particularly when Instacart’s payment was below the $10 threshold. For instance, if shoppers were paid $6 by Instacart in these cases, they will receive another $4. “Over the coming days, as we transition to the new higher-minimum floor payments, we will make you whole on the transactions that have occurred since the launch of this feature,” Mehta said. Based on receipts sent by Instacart shoppers nationwide, Working Washington said shoppers experienced hefty pay cuts, with some seeing wages drop 30% to 40% overall. For example, one Instacart shopper in Tacoma, Wash., reported that she went from making about $1,000 per week before expenses to $600 to $700 per week. And a receipt from another Instacart shopper showed that, for a delivery that took him 69 minutes, he made just 80 cents despite a $10 tip from the customer. 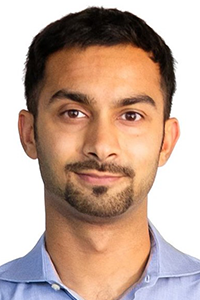 Mehta’s blog this week to Instacart shoppers signals a step in the right direction, according to Working Washington, whose petition has received more than 3,600 signatures.